I'm still trying to figure out what is the username and password for logging into the example app. Please help. I have a doubt. 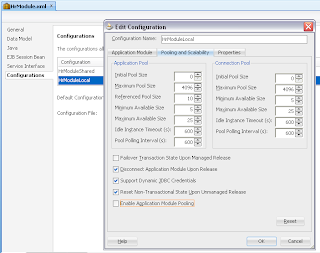 can we access the userData in the session of ApplicationModule say AM1 from ApplicationModule AM2? 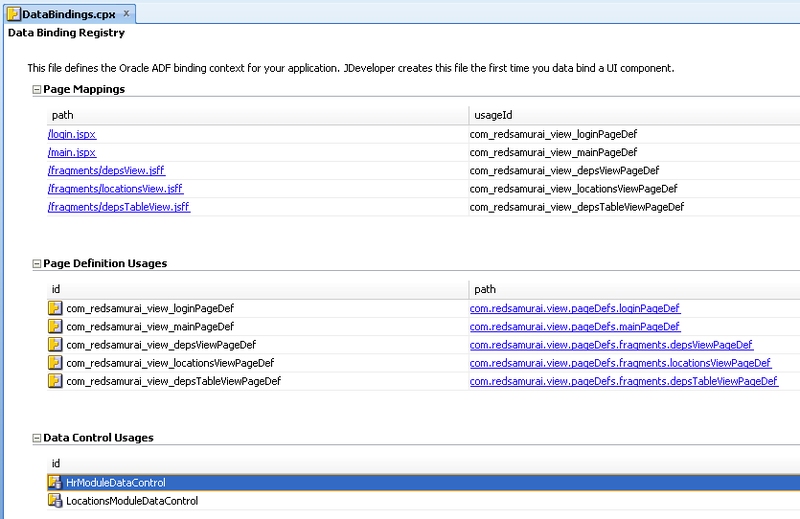 By design in ADF, User Data exists only in scope of one AM instance. 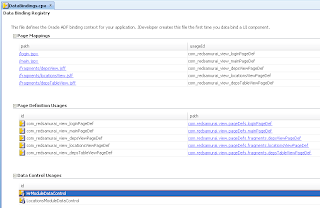 Its why I outline solution architecture in this post, how to initialize User Data in multiple AM's. 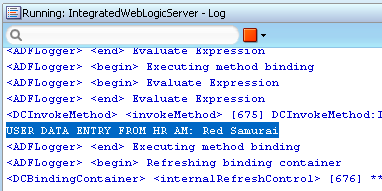 I have an application module inside which i am validating user inside a method. i want to create a user session object for each user that log in to the system. 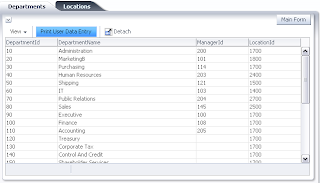 all my user credentials and roles are stored in the database tables. I want to make an object of this. 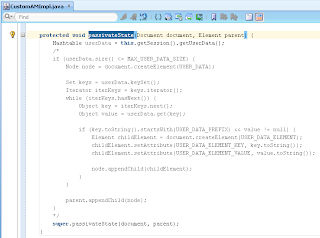 so if i create it in one of the application module .. so is it not possible to use the values in other application modules? what is the alternate method for storing the user session object? I would suggest to return value from that custom AM method into ViewController HTTP session scope. Then you can initialize each AM User Data through custom Data Control Factory class - as per this blog. I have a use case where I need to load the session data more than just the one time setSessionCookie() is called. In fact I would like to fetch this data and put it into the userData map each time the AM is activated to ensure he AM has up to date data. 1) AM is instantiated for the first time, creating the Data Control and thus calling setSessionCookie to load the session data into the userData map. 2) AM performs some tasks and is passivated, storing the userData as per his blog. 3) AM is reactivated to perform some further tasks, but now has out of date session data in it's userData map since setSessionCookie will not be called again. How would you recommend approaching this use case? 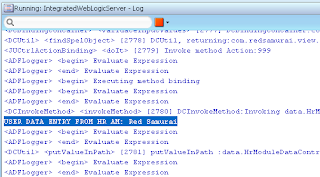 I believe you can use same solution from the blog, just extend it a bit - add login of updating userData into prepareSession() method in AM Impl class. Its a place, where I'm initializing userData each time during activation. setSessionCookie is used to load default data. But from prepareSession() you can modify it during each activation if needed. we have the use case that we need to access some session data in our AM. So we tried it this way. However we need those session data in the prepareSession method of the AM. It seems that the prepareSession is already called when the AM is instantiated, and our data is not set in the AM at that time. 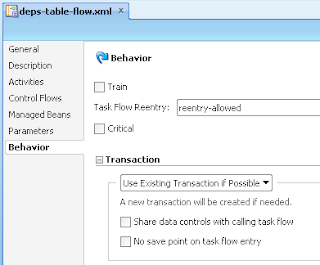 So what would be your approach to get the data in the prepareSession without violating the MVC pattern. I would need to test this. 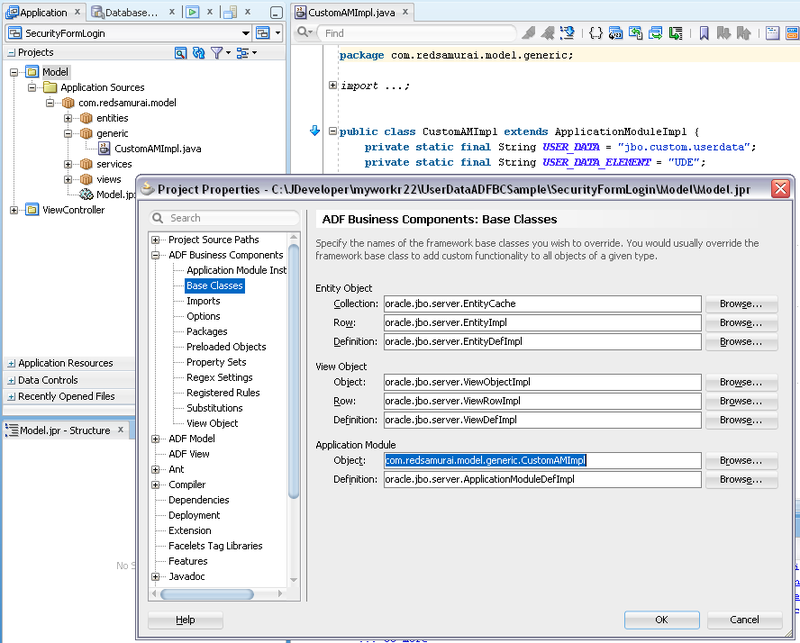 Yes, you should not use Session scope directly in ADF BC, instead you could use approach described in this post - initialising ADF BC params through custom ADF Data Control class. If I understand well, you say that we may use the CustomADFBCDataControl class to initialize the application module. Inside this class we can use the sessionScope or the HTTP Session without break the MVC pattern? Another question: If we have one root application module that uses a shared AM, the userData map only exists in the root AM? 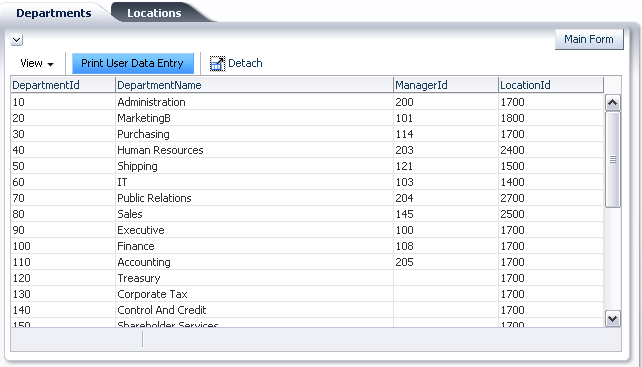 Then, when we do am.setUserDataEntry, what userData map is accessed? With nested AM occurs the same? I am trying to implement this approach for sharing some global context values between ADF BC and HTTP Session. 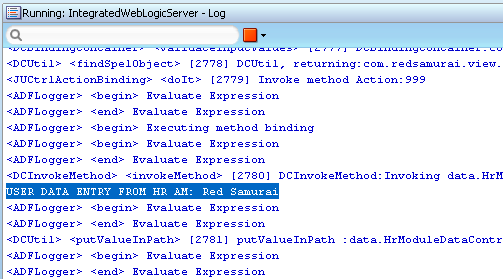 However, my context value is a serialized object and I am not able to deserialize it in the BC.I am seeing that the object is getting saved in the session properly (as an object) but when I try to retrieve in BC, it is coming as String. Any help on this is greatly appreciated. I don't think this is possible. You need to passivate parameters and on activation recreate your object. Do you mean that we cannot save a POJO in the BC session and it always has to be key-value pairs of String type? 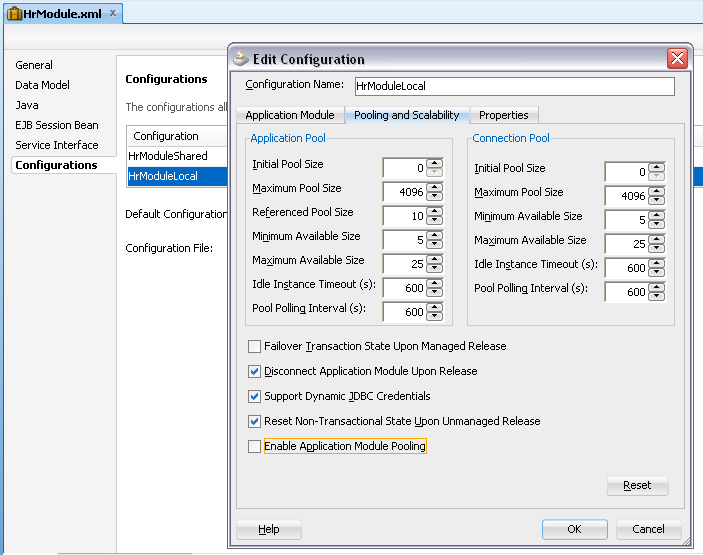 ADF BC passivation saves string values, POJO is a object. You will need to recreate POJO on activation from parameters. In passivate, I am converting the POJO into a Map and then saving all the map entries as elements. 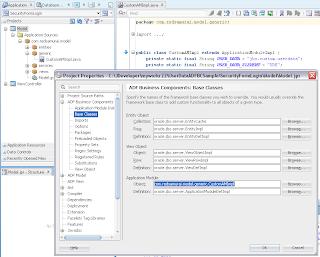 In activate, I am copying the data from the elements back to the Map and at the end recreating the POJO. SO far I have not had any issues. Thanks for your help..! When debugging the code we never hit the break point in the protected void activateState(Element element) method knowing that the super.activateState(element) is the first instruction present. Could you please tell us you thoughts ?